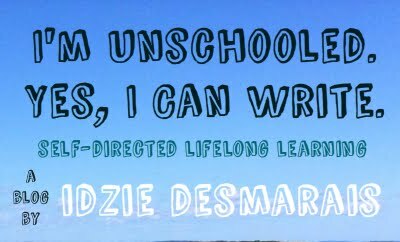 As unschooling in particular and homeschooling in general become ever more widespread, the rumblings of unease from everyone not unschooling (or homeschooling) also seem to get louder: wait, why isn’t there more oversight? These families could be using this as a cover for educational neglect. Shouldn’t someone be testing these kids? Ah, testing. Again and again it comes up as an answer to better controlling the homeschooling population. After all, isn’t that the best way to compare school free learners to those in school, and make sure they’re getting a real education? It makes sense. 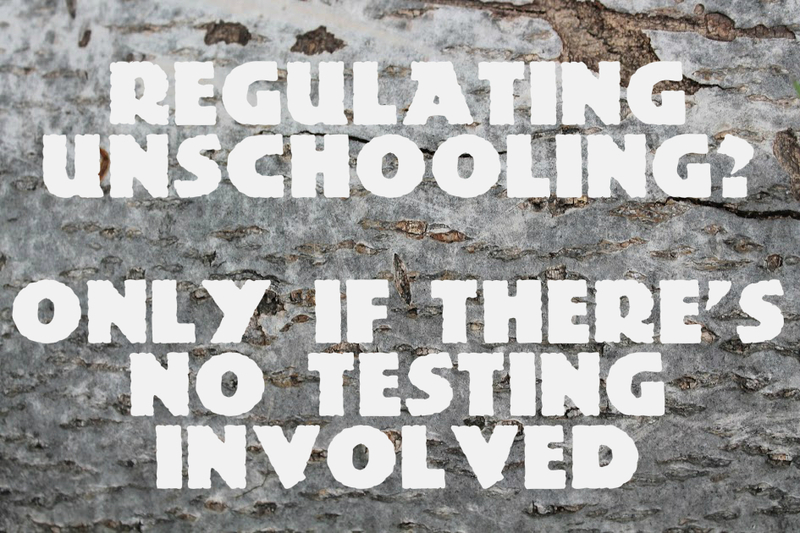 If, that is, you believe that testing is an accurate judge of education… And that’s increasingly being called into question not only by fringe groups of educational radicals, but by ever more mainstream groups of people--teachers, parents, children, and concerned citizens--who see how increased standardized testing is harming learning and stressing children to the point of illness. The “opt-out” movement has gained traction across the US, and in it’s New York epicenter the last several years have seen over 20% of students refusing to take standardized state tests. In countless op-eds and articles educators, parents, and students expound on the flaws and failings of our mass cultural reliance on standardized testing. If testing itself is failing in schools, institutions built by their very nature to standardize education in order to test it’s supposed efficacy, then why on earth would it be a good idea to export standardized tests to school free learners, as well? The reason people choose to forgo schooling is because they want a different type of experience, one they’re not able to achieve in a traditional school setting. While some homeschoolers will re-create the trappings of a school education outside of the institution, many more (unschoolers most of all) are looking to leave schooling itself behind, believing that our modern method of education largely ignores the importance of self-directed learning, free play, internal motivation, building respectful multi age relationships, authentic work, and all the other marvelous benefits available to a child with supportive and available adults in their lives. When life and learning are inseparable, testing seems like an absurd intrusion on a natural process. But how do you know they’re learning? critics cry. Well, that’s actually pretty simple. Firstly, a lack of curriculum doesn’t mean a lack of (learner chosen) goals, whether stated or not: to be able to read well enough to enjoy getting through Harry Potter; to go to space camp; to learn Japanese. Secondly, when not being taught to the test children will engage in authentic and clearly visible projects and activities: planting their own garden; writing a novel; building a video game. Thirdly, and most importantly, when engaging in adult supported self-directed learning there are strong relationships formed between adult and child, and the adult(s) sees the learning happening: in enthusiastic discussions; activities practiced together; books read aloud and shows watched together; in narrations of whatever was done in science club/book club/Scouts/4H/art class/martial arts, etc. When you live and learn together with children, you can’t stop seeing the learning happening. Most parents are deemed innocent until proven guilty. This makes sense, because the majority of parents are essentially decent. Yet when it comes to school free learning, suddenly some view parents in the reverse: guilty until proven innocent. There is no proof that school free children are at a greater risk for abuse, and in fact plenty of people turn to home education precisely because their children are experiencing abuse in school (from either other children or teachers). It seems pretty hypocritical to single out school free learners for scrutiny. Instead assume good intent: that the parents or guardians want their children to be happy and gain the skills needed to function in society, and only investigate if there are signs this isn’t the case/a complaint is made to the local child protection service. Bonus? Enact laws that protect all children from physical violence by outlawing corporal punishment, whether practiced in schools (still legal in many US states) or by parents. Recognize that there are many different “methods” practiced by school-free learners, and while it’s perfectly reasonable to expect parents to be able to express to an official why they choose not to send children to school and the type of learning environment they hope to create instead (whether they have a name for it or not), it’s not reasonable to expect home educators to recreate school at home. Doing something different is precisely why families are home educating, after all! Separate the stereotypes from reality. In many parts of North America home education is synonymous with conservative religious practice, but that’s never been wholly accurate, and is becoming even less accurate as ever greater numbers of families are choosing home education for secular reasons (whether they’re religious or not). If there are risk factors associated with certain groups--for instance the popularity of the horrifically abusive Pearl parenting method among certain segments of evangelical Christians, for whom homeschooling is also common--focus on that, not the entire home education demographic. Home educators frequently make good use of any and all resources available in their community. Isolation is the exception, not the rule, and many school-free learners would be quite happy to have access to resources in local schools as well. Think band, sports, labs… School boards are only the enemy when they insist on trying to get school-free learners to conform to a common curriculum, instead of respecting the differences inherent in an educational alternative. In a world where education is--ever so slowly yet ever so surely--becoming more diverse and more individualized, school-free education is going to keep on growing. I think it now falls on those of us comfortable speaking out about our experiences to share them, and those who worry to truly listen, and begin the process of questioning their assumptions about education. Standardized testing in elementary and high school levels has never and will never be an accurate method for establishing whether authentic learning is happening, even inside of schools, and unschoolers as a whole want no part of it. Unschoolers seek to work with children, instead of against them, and perhaps it’s time the rest of society to take a page from our playbook and start working with educational alternatives instead of shutting them down. I have great hope that, with the progress alternative education ideas have made just in my lifetime, real change isn’t only possible, but inevitable. my work by becoming a Patron!